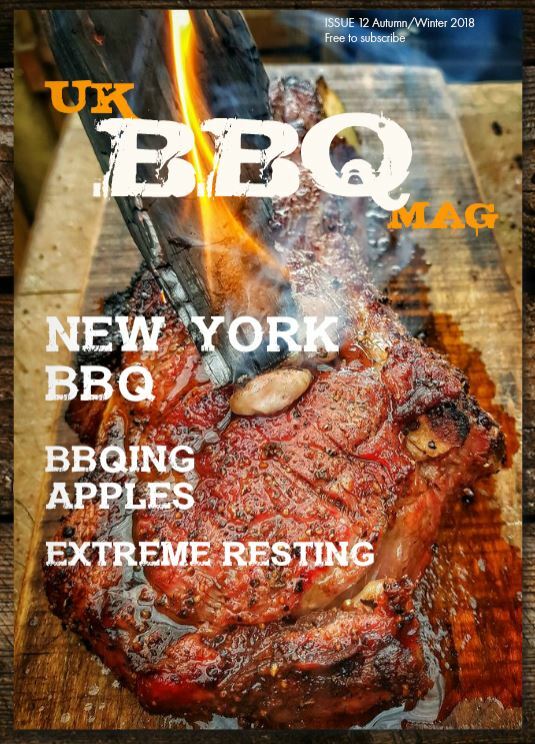 When most people think of BBQ sauce, they think of the sticky sweet slightly smoky sauces, such as tomatoey Kansas City style, or the more vinegary Memphis and St Louis style. 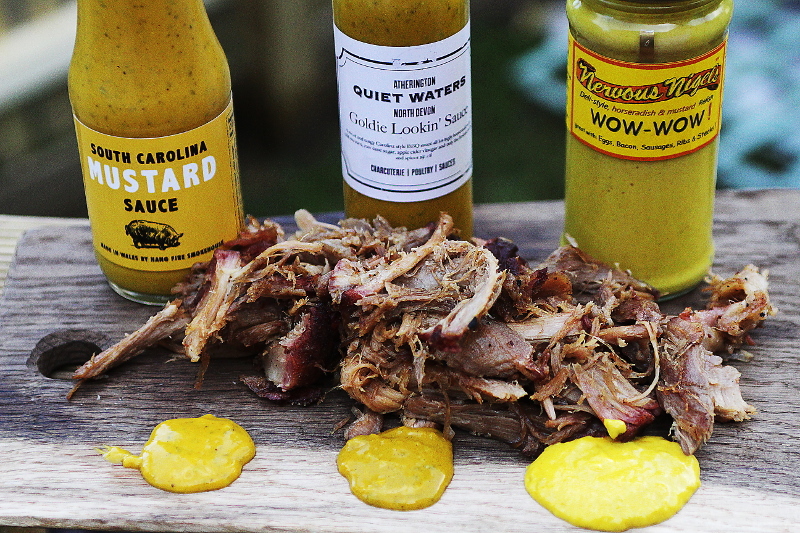 But the regional variation in BBQ and sauces is vast, and in South Carolina, Mustard BBQ Sauces are the go to when cooking Hog. There’s a large number of house BBQ sauces that follow the majority, but it’s great to see a number of different Barbecue sauces making an appearance. Here’s just 2 that I’ve found, plus a little extra bonus mustard sauce with a wonderful creamy horseradish bite from British producers. If you know of more, then let me know in the comments below. So I set about a taste test with some lovely pear smoked pulled pork. There was a lot of good things in common with the Hangfire Smokehouse South Carolina Mustard Sauce and the Quiet Waters Farm Goldie Lookin’ Sauce, both were slightly sweet, but not as much as a French’s Mustard, with spice and a bit of heat, the Hangfire had more of a vinegary mustard kick, whereas the Quiet Waters had a bit more sweetness about it, both were truly well matched with the pulled pork, and I heartily would recommend both. The Nervous Nigels Wow Wow had a wonderful mustardy creaminess but with the added cheeky kick of a little horseradish, and went so well with the pulled pork, but would work great with beef and smoked cheese too. I’m now finding myself slightly addicted to these lovely sauces, enjoying them with sausages, cheese sandwiches and crisps.